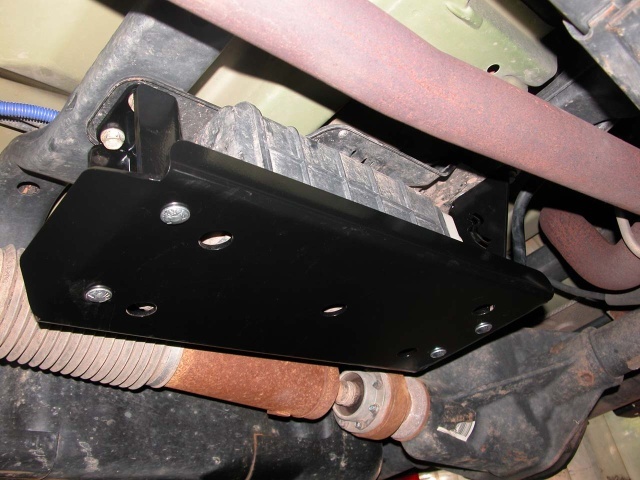 This Skid Row Offroad Canister Guard is designed to protect the vulnerable evaporative canister that Jeep placed in harm's way. 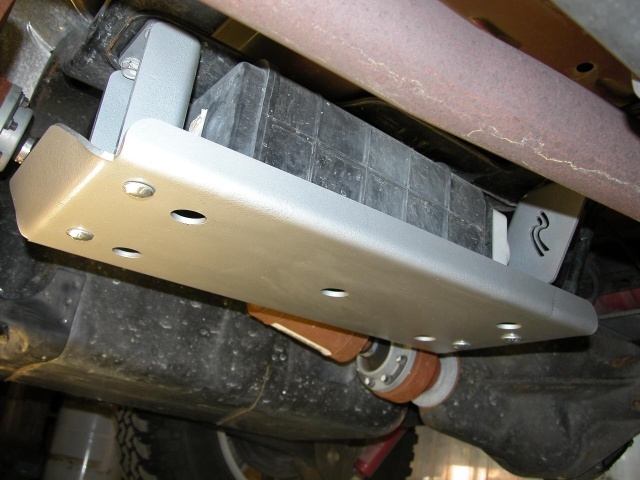 It's way too easy to damage this important emissions component and our canister guard is an easy way to protect it. This guard is made from laser-cut 3/16" steel and has the front and rear folded at 45 degrees to keep it from catching on edges. The sides are also folded upward 1" to make sure there is plenty of strength. 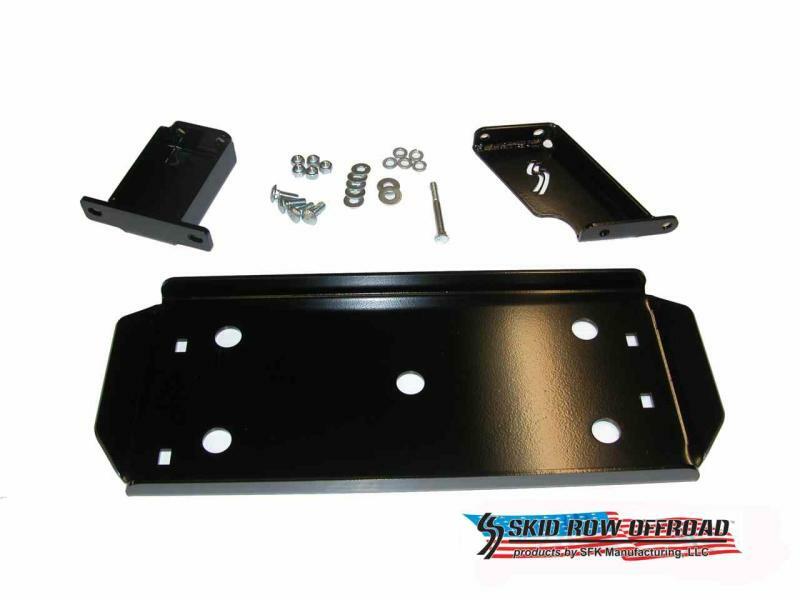 The front mounting bracket is made of 1/4" thick steel to make sure it can withstand encounters with rocks better than the lighter duty mounting brackets of our competitors. 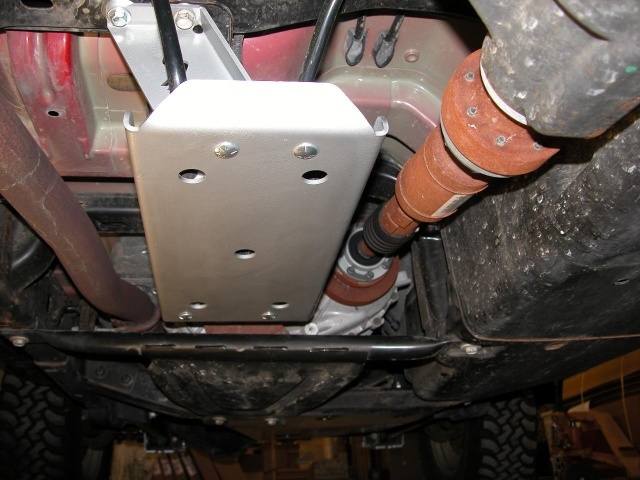 Installation takes less than an hour with simple hand tools and no modifications are required to your emissions system….which should keep your local Jeep dealer happy with you. There is no drilling required and all the hardware is included.